Click view API Key and copy the value shown. Next, click the Apply button for “Apply Default Settings.” This will configure a few options for you in Cloudflare that help make this all work. If you’re using a paid tier you’ll want to follow Cloudflare’s support document as it’ll provide some additional page rules you can setup to improve your experience. 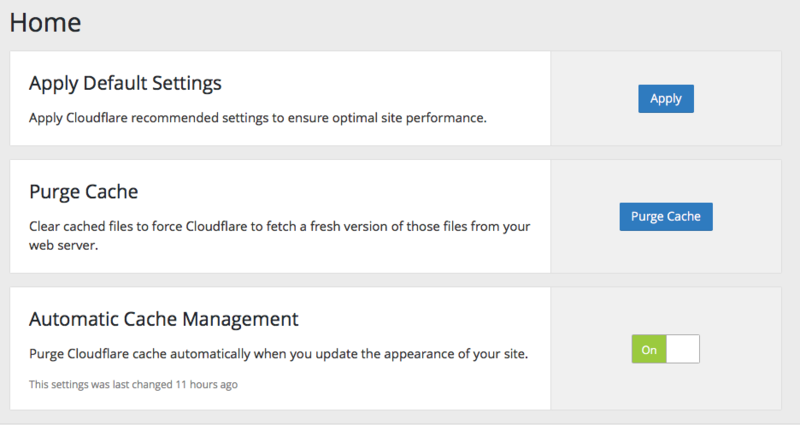 In all cases you can resolve these issues by purging the Cloudflare cache from their admin pages. 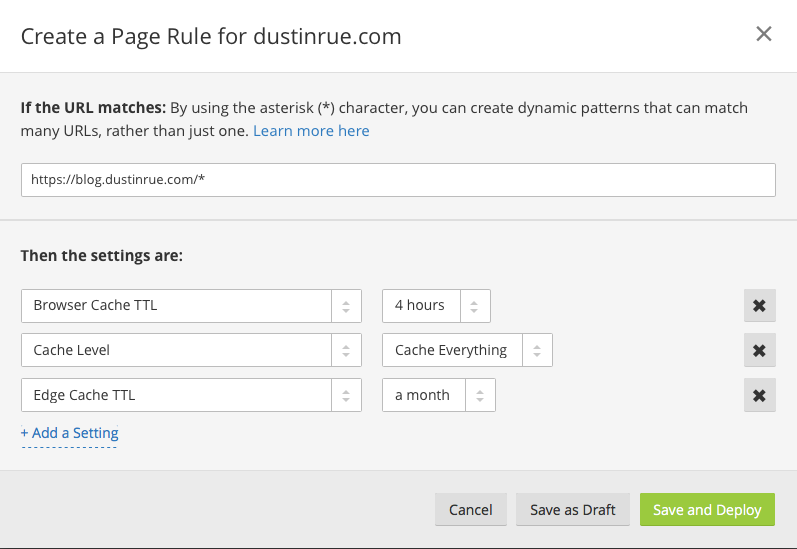 If you continue to have issues double check that you’ve configured the “Cache Everything” rule as shown above. If you still have issues, you might have a plugin that prevents this from working and you’ll need to remove the “Cache Everything” rule.